Back in 2014, before Sony decided to let Marvel take the steering wheel of Spider-Man movie franchise, it had plans for the webslinger’s cinematic future. Big plans. Plans that included a spin-off movie based on the mercenary Silver Sable. Plans that may be back on. 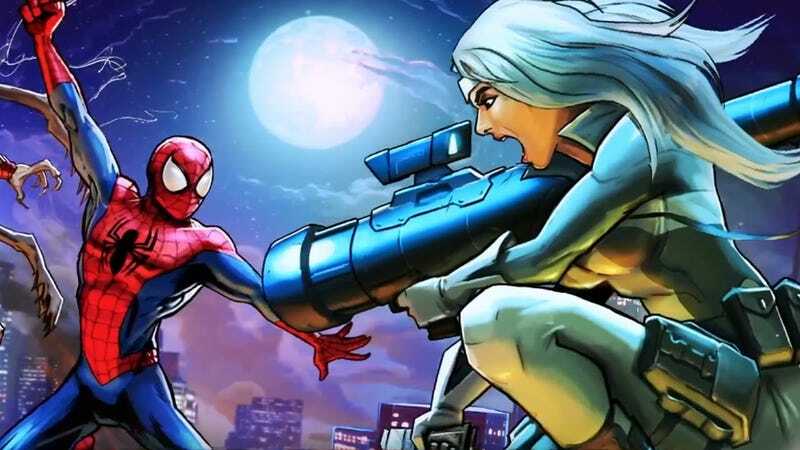 According to a recent episode of the podcast Popcorn Talk, Sony Pictures has been in talks with Abi Morgan, the screenwriter behind Shame and The Iron Lady, to draft a film based on Silver Sable. The idea had previously been mentioned in the infamous Sony email hack of 2014, alongside Venom, The Adventures of Aunt May, and Glass Ceiling, the tentative title of their all-female Spider-Man supporting character extravaganza. But all of these movies—well, maybe minus Aunt May—make more sense than Silver Sable, who isn’t even in the top 30 of best-known Spider-Man characters. Sable is usually seen leading a group of mercenaries called the Wild Pack as they hunt down war criminals while propagating the economy of their fictional slice of Europe, called Symkaria. Her run-ins with Spidey have been pretty random; they’re much close to business acquaintances than allies. Fun fact: Debuting in The Amazing Spider-Man #265, Silver Sable was created after Tom Defalco bought some Safari Cards off late night TV.